As a security professional, have you found that you and others in your company do not always define “security” the same way? Have security interests and business interests become misaligned? 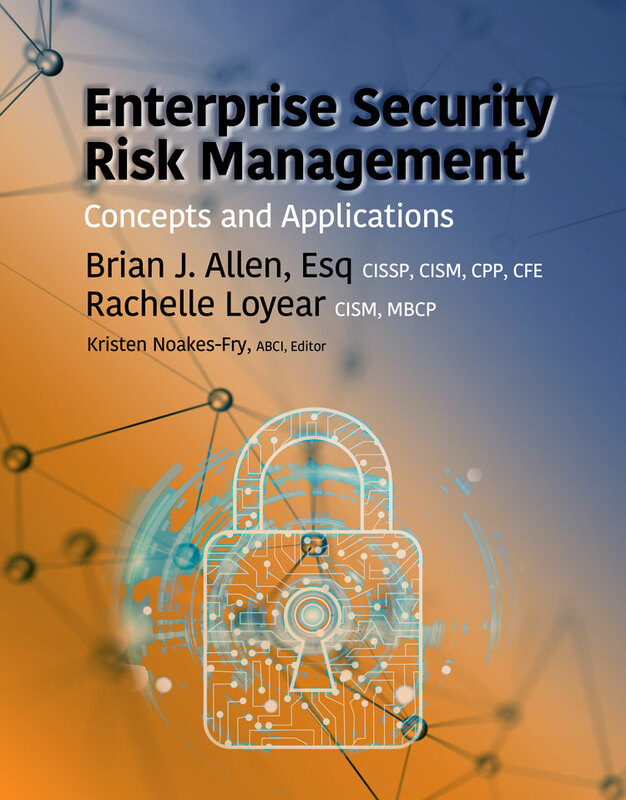 Brian Allen and Rachelle Loyear offer a NEW approach: Enterprise Security Risk Management (ESRM). By viewing security through a risk management lens, ESRM can help make you and your security program successful! Brian Allen and Rachelle Loyear show you step-by-step how Enterprise Security Risk Management (ESRM) applies fundamental risk principles to manage all security risks, based on years of practical experience and research. Whether risks you face are informational, cyber, physical security, asset management, or business continuity, all are included in the holistic, all-encompassing ESRM approach which will move you from task-based to risk-based security. How is ESRM familiar? As a security professional, you may already practice some of the components of ESRM. Many of the concepts – such as risk identification, risk transfer and acceptance, crisis management, and incident response – will be well known to you. How is ESRM new? While many of the principles are familiar, the authors have identified few organizations that apply them in the comprehensive, holistic way that ESRM represents – and even fewer that communicate these principles effectively to key decision-makers. Throughout Enterprise Security Risk Management: Concepts and Applications, the authors give you the tools and materials that will help you advance you in the security field, no matter if you are a student, a newcomer, or a seasoned professional. Included are realistic, practical case studies, questions to help you assess your own security program, thought-provoking discussion questions, useful figures and tables, plus references for your further reading. By redefining how everyone thinks about the role of security in your enterprise, your security organization can focus on working in partnership with business leaders and other key stakeholders to identify and mitigate your security risks. As you begin to use ESRM, guided by this book, you’ll become a recognized and trusted partner in the business-critical effort of protecting your enterprise and all its assets.